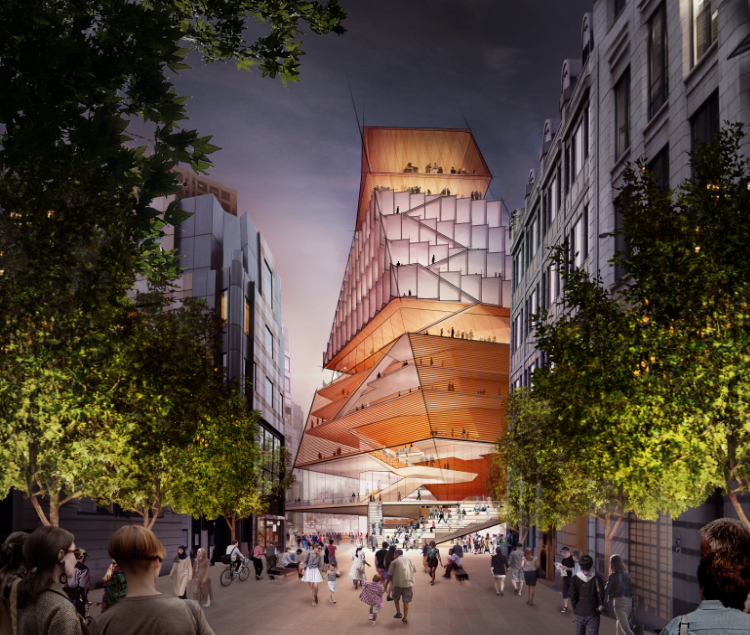 The Barbican, London Symphony Orchestra and Guildhall School of Music & Drama have today released the first concept designs for their project to create a world class Centre for Music in London, as part of a progress update on their plans for the proposed new building. 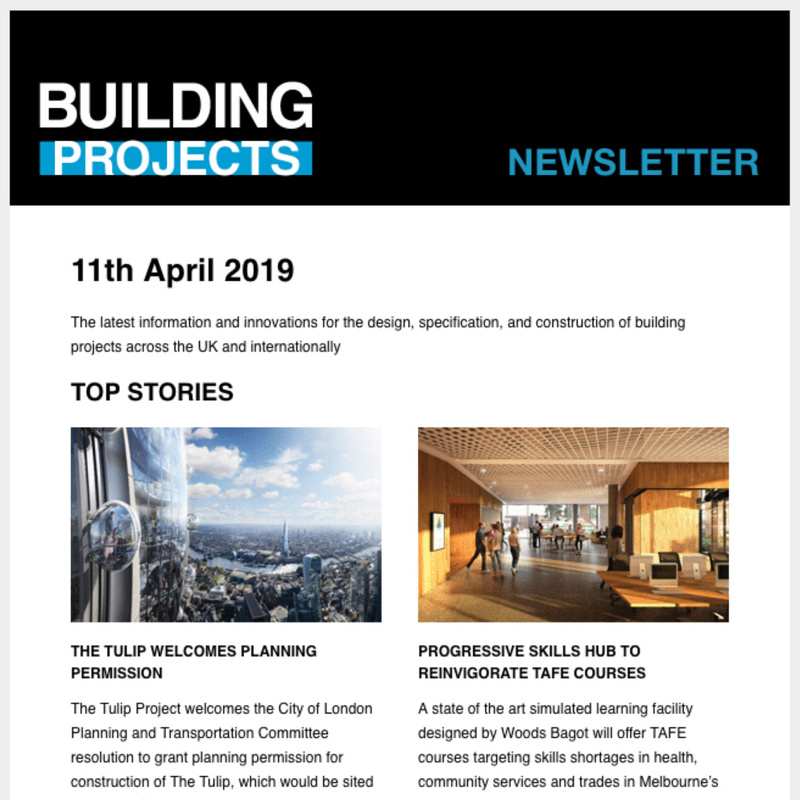 This update follows the recent news that the City of London Corporation has backed the next phase of work by providing £2.49 million for the three partners to undertake further design development, and to progress fundraising, business modelling and capital funding plans. 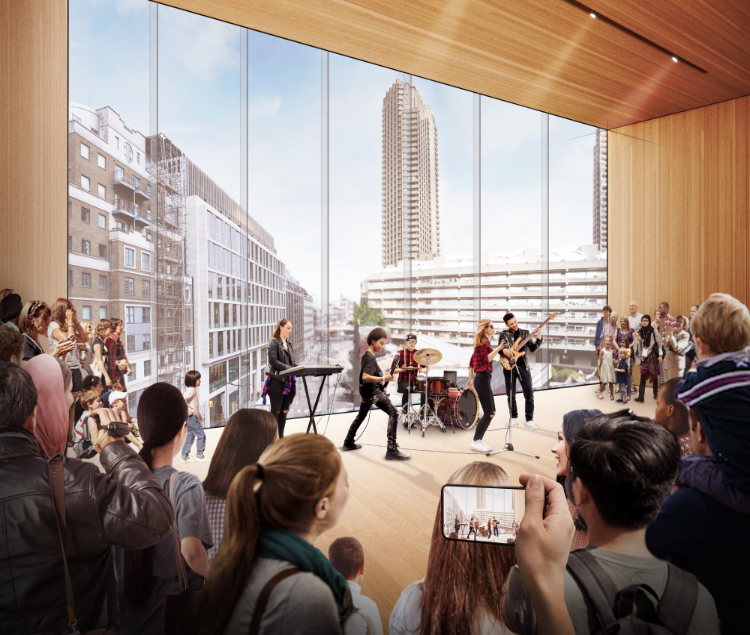 The Centre for Music would be a world-class venue for performance and education across all musical genres, harnessing the power of three internationally recognised cultural organisations – the Barbican, LSO and Guildhall School – to inspire a new generation with a love of music. 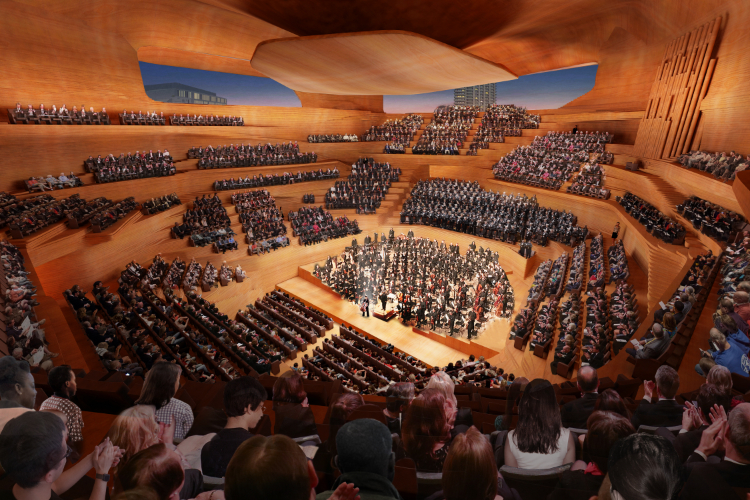 The Centre would include a world class concert hall and superb spaces for performance, education and rehearsal. It would, above all, be a place for people of all ages and backgrounds to experience the joy of making-music first hand. 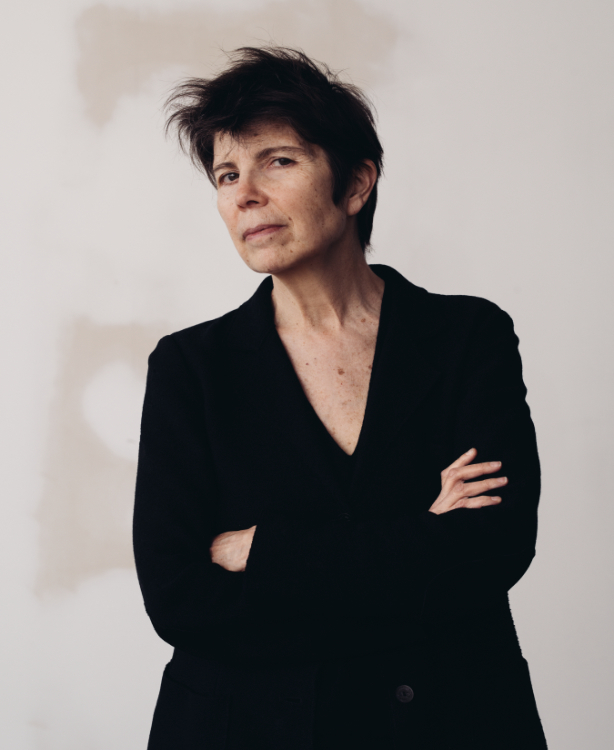 The concept designs, developed by lead architects Diller Scofidio + Renfro, demonstrate the potential to deliver this landmark new building on the current Museum of London site. 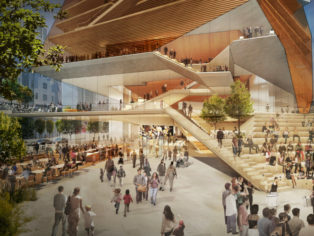 Alongside creating an outstanding new building for London and the UK, the designs propose reimagining and transforming the layout and public realm of the current Museum of London site, creating open, welcoming and traffic free public spaces, while also linking to the Barbican Estate’s Highwalk network. 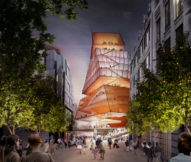 The proposed Centre for Music site, which has been made available in principle by the City of London Corporation, sits on a key cultural axis in the capital, linking north from Tate Modern, the Millennium Bridge and St Paul’s Cathedral and between two major new Elizabeth Line stations. The realisation of Diller Scofidio + Renfro’s concept designs would create an iconic new gateway to the City of London’s emerging Culture Mile, drawing visitors into an area that is set to be transformed over the next decade and beyond through new transport hubs, outdoor programming and major enhancements to streets and wider public realm that link the area’s existing and planned world-class cultural destinations. 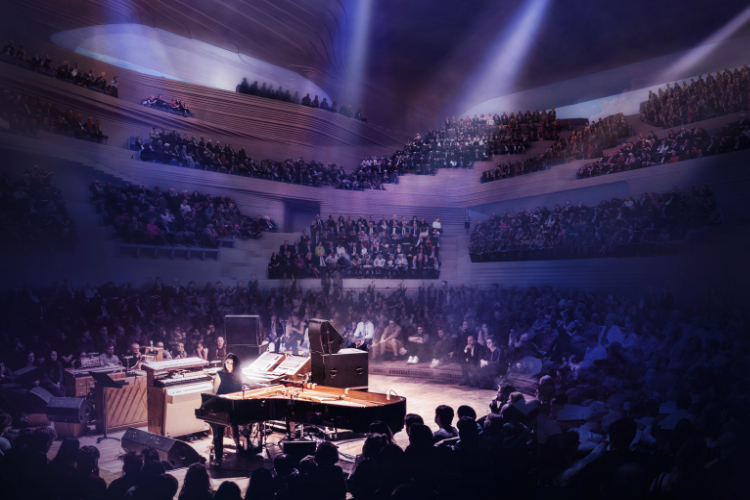 Current estimates for the cost of the core Centre for Music elements of the building are £288 million in today’s prices. 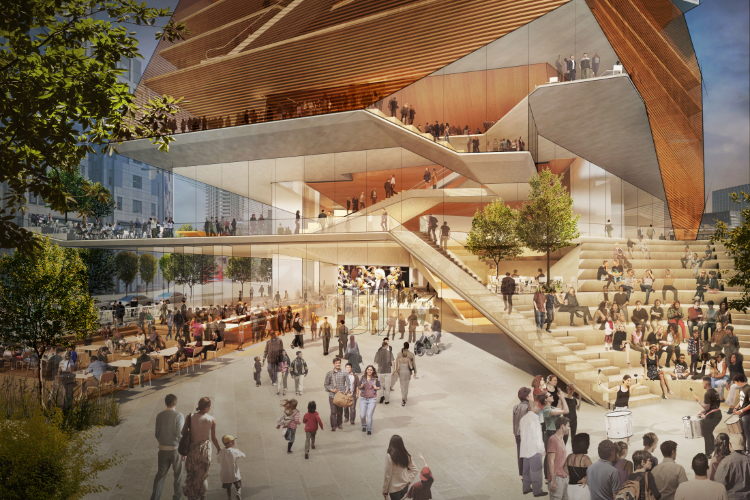 Above these core elements are a series of commercial spaces that will support the construction and running costs of the building, enabling it to operate without ongoing public subsidy. The Centre would be run by the Barbican, enabling the arts centre to significantly expand its international programme across all genres. 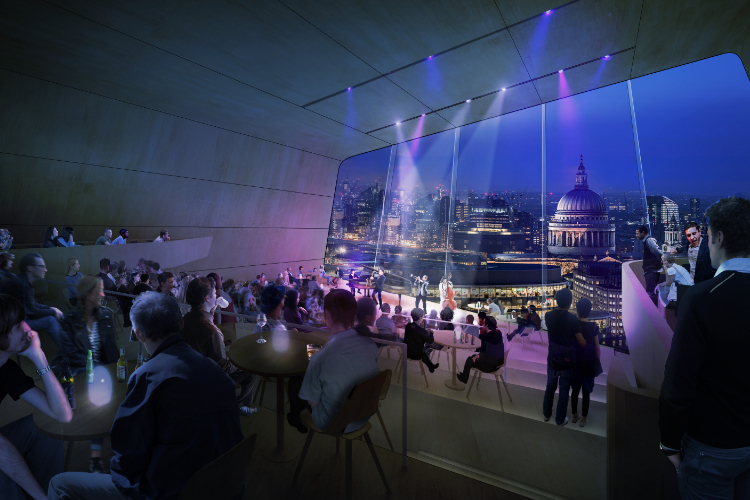 It would be the home of the London Symphony Orchestra and the base for the Guildhall School of Music & Drama’s new Institute for Social Impact. 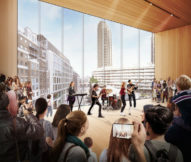 The Centre would also allow the Barbican, LSO and Guildhall School to build upon and significantly increase their current learning and discovery programmes, with the ambition of delivering high quality music experiences for school children and communities across London. 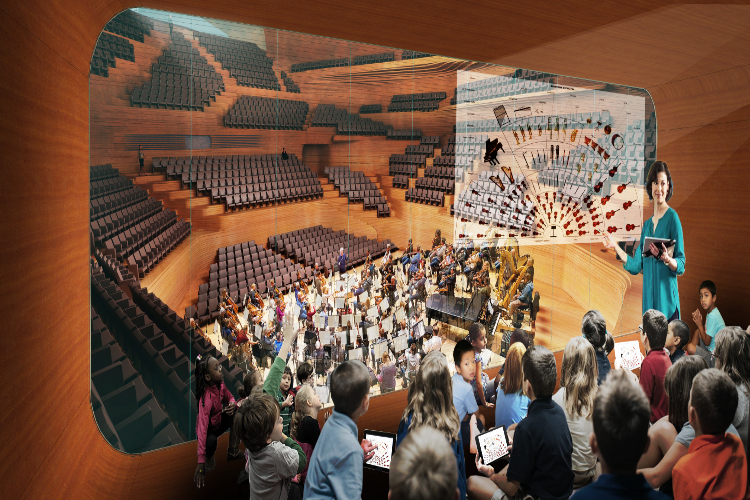 Digital technology would be fully integrated into the building’s design and infrastructure, enabling music and education activity delivered in the Centre to be distributed to a global audience. The next phase of work on the project is expected to take approximately one year to complete.